WanderMan: Throw Another Shrimp On The Barbie - Compact BBQ Grills That Work! Throw Another Shrimp On The Barbie - Compact BBQ Grills That Work! 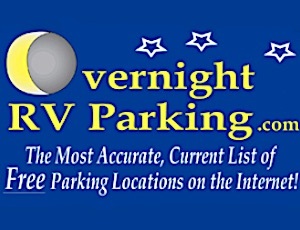 As most of you already know, my RV is small. 23 feet 8 inches from front to back and only 99 inches tall. Plenty of inside space, nice big bed, couch, full bath with separate shower and a full galley including a 4 burner stove and convection microwave oven. Pretty much everything I wanted and need. What's missing? What did I lose going compact? Mostly storage space. Instead of the typical class A RV's hefty amount of "basement" storage I have one...count'em ONE basement storage area. It's relatively roomy, mind you. Just not enough space. I suppose you can never have too much space, but I like traveling as light as I can. ready to launch off on the next adventure at a moments notice. A few weeks ago I took a trip where I wanted to Barbecue for lunch and maybe even dinner. I like BBQ, tastes good and there's something primal about cooking over an open flame, whether it be charcoal or propane. (Right about now, you're probably hearing Tim Allen grunting...) Perhaps it's a "guy" thing....perhaps not. Either way, I like it. At home I've got a big propane fired, stainless steel monstrosity that I can cook large animals on. This was obviously not going to work in my RV. Now what? Same as always, RESEARCH! I spent a few hours scouring the internet for every kind of grill imaginable. You wouldn't believe how many there are! OK, so maybe you would.... Mind boggling. You could have propane, natural gas, charcoal, heat tablets, alcohol even white gasoline. if it burns, someone has figured out a way to cook on it! They ranged in size from tiny round alcohol stoves to gigantic propane or wood burners that had built in tow hitches. I'll be honest, I did seriously consider towing one for a few seconds. But that would be crazy...or would it? These are actually pretty cool. They use some type of fibers (cloth or loose in a container) to contain the alcohol and slowly release the vapors to heat up the cooker. 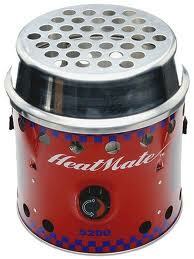 Further, they can be used as a heat source (around 5500 BTUs) Neat idea, been used on sailboats for years and years. They come in many sizes. I looked around....a bit pricey. You have to have alcohol on hand to refill the wick system. Seemed a bit more trouble than I wanted. Still, I like the idea. There is nothing exactly like the flavor of foods cooked over charcoal. Not the pre-fab briquets mind you (though there not all that bad either) bit genuine charcoal from wood. Alton Brown, of GOOD EATS fame (it's a show..or was...on the FOOD NETWORK) really loves the stuff. I'm a big fan...his logic makes sense. You should look into it. Yes, I'll stop being a fanboy now. There is a charcoal grill that can fit every budget and they do come in every size. I even saw some disposable ones that looked like a disposable aluminum Lasagna pan. Pull off the cover and light. Wait until the coals are white and cook. When done, throw it all away (after appropriately extinguishing the coals with water) Neat idea. While I would hope to be forgiven by Alton, I just didn't want the hassle of using charcoal on the road. It's messy to cleanup, you need to carry bags of fuel and kindling....etc, etc. Bleh. I want to relax on my short enough times away. What's not to like? Most of us carry on board propane tanks of one sort or another. I already had a propane based grill at home. I'm used to the way it cooks.....Seemed like a perfect fit. 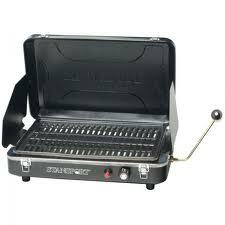 Now, did anyone make a compact propane grill that was easy to store, easy to clean and easy to fuel? Short answer? Yes. The longer answer was yes, but you really have to look around and get one that will serve your needs. I cook chicken parts, burgers, hot dogs, steaks, shrimp potatoes and grilled vegetables mostly. Hey, I'll likely try anything once....someone once grilled me some watermelon. It was...honestly...a bit weird, but not bad. Most grills will be described by the size of their cooking area, in SQUARE INCHES (sq. in.) and the amount of heat they produce, in BRITISH THERMAL UNITS (BTU.) I looked for the biggest grill I could find, that would cook everything I wanted (even with a few friends over) at a temperature and speed that didn't make it a chore, that would fit in the leftover space in my small basement storage compartment. I bought one that had 180 sq. in. of non-stick cooking surface with a drip pan, a tube style 12,000BTU burner, push button Piezo ignition, VERY easy cleanup and used VERY easy to find 16.4 oz. common disposable propane cylinders. Best of all it was only 20 inches x 14 inches x 15 inches! It came in various colors to boot. I got a black one. If you look around, you can find these for under 70.00 dollars SHIPPED! We should BBQ swap recipes. Now that I can cook outdoors easily....I'm ready to grill! Nicely done, that is a fantastic BBQ :). I've been using the cheap BBQ's that run off the small bottles for travel, but they're not as clean as nice as that one. If I had the spare cash to order one, I would, but I'm short on time before my big trip so I'll have to go with another budget unit till next time :). We have a Son of Hibachi that folds up nicely, lights easily and has a cool down pouch to carry everything. 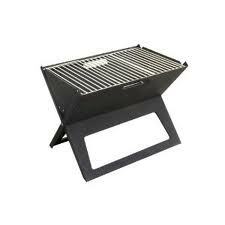 This is a charcoal grill with adjustable grates.Great buy. I like the idea of a cool down pouch. Plus, the name is nifty! X2 on the "Son of Habachi". I have been using one for about 2 years and love it. I even sometimes use it a home instead of the propane grill because I like the flavor charcoal gives. Google Son of Hibachi for info. OK..I am convinced. I'll look it up and...if I can fit it in...I'll buy one. I really like the charcoal flavor. If I camp for more than 2 days, it would be nice to have that as an option. Your description sounds like what I am looking for. Is there a brand name that I could look up? At the bottom of the article is a link to the Stansport grill. That should take you to a page where you can buy one! Take a look directly below the article, there are three pictures and links one of them is for the grill. Actually, they don't exist on my view of your page. This is because your links go through the google affiliates program, which, like all internet ads and trackers, are killed by my browser :p.